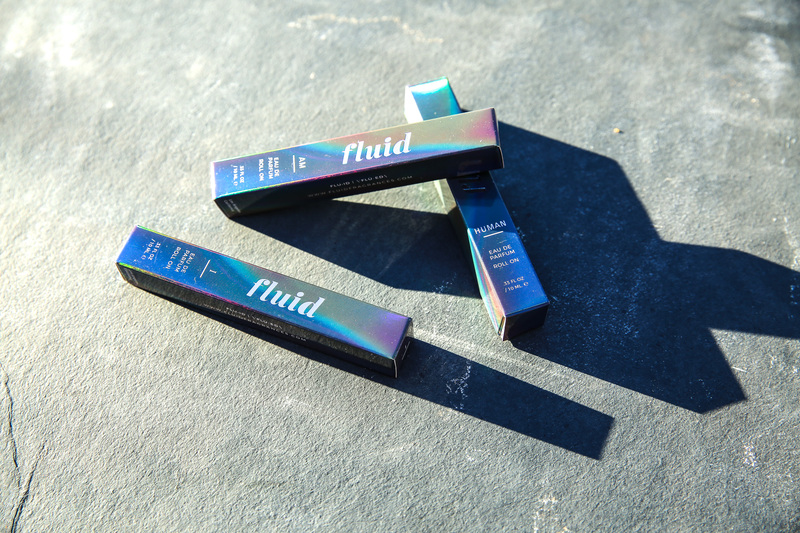 Fluid Fragrances, a start-up brand based out of Los Angeles, has announced the launch of an all-new gender fluid fragrance line. The collection, featuring five scents titled “I Am A Human Being” respectively, is inspired by the LGBTQIA+ community, specifically gender fluid individuals. The company’s mission is to bring awareness and acceptance to those that identify as gender fluid and others living outside the societal norms, embracing individuality and the freedom to simply ‘be’. “We’re strong in our belief that everyone should feel free to be who they are,” says Fluid Fragrances founders Lynette Reed and Phil Clark. “My son Harris, who is a gender fluid fashion designer based in London, has been the inspiration behind Fluid Fragrances,” says Reed. “Sometimes, it’s not as simple as a single label or word. Gender is fluid, sexuality is fluid, often shifting and changing depending on context. Fluid Fragrances was designed with that perspective in mind,” continues Clark. As visionaries behind the brand, Reed has years of experience in the beauty and fragrance industries. Reed is the founder of Illume Candles and cult-favorite Izzy Sayan Perfume and has also created fragrance collections for many well-known brands and retailers. The experience of raising a gender fluid child has given Reed a unique insight and passion that brings an unrivaled authenticity to the brand. In addition, Clark’s career in the music and international beauty industry has played a pivotal role in the company’s growth. With contacts across the United States, Europe and the rest of the world, his business mind and personal motivation have been a major driver behind the brand’s success. The Fluid Fragrances debut “I Am a Human Being” rollerball collection is a true representation of the brand’s inclusive message. The fragrances themselves are fluid; a flowing combination of notes in multiple layers and dimensions including sandalwood, amber, bergamot, and vanilla to name a few. Beyond the scent, Fluid Fragrances are made in a base of 100% organic Argan oil sourced from a cooperative of Berber women in Morocco. The cooperative, which began in 2007, was originated by women who met in a literacy class they were taking in order to lift themselves out of poverty. Today, there are over 60 active members who make a livable income working to produce our organic oil. “We want Fluid Fragrances to bring people together, and celebrate their lives, their paths and the unique characteristics that make them who they are,” says Reed. Retail price for each rollerball fragrance is $32 and $160 for the full set, which is currently sold online at fluidfragrances.com as well as select specialty retailers across the United States.